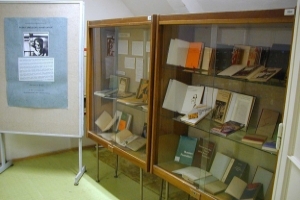 The Slavonic Library is constantly trying to protect documents from its collections in danger of physical damage (low-quality paper) and ensure quality access to unique and endangered parts of its collections in the form of microfilm or digital copies. The aim is not only the physical preservation of unique documents for future generations but also their easier accessibility in the form of electronic copies. Especially the periodicals issued at the end of the 19th century and in the early 20th century were printed on low-quality acid paper, which is subject to rapid degradation.